Google’s latest Android version, the Android 9 Pie which first landed in the market with the launch of Pixel 3 and Pixel 3XL is now being rolled out to other devices as well. Earlier this week, Xiaomi also took an appreciable step and pushed the Android 9 Pie update alongside the November Security patch to the Xiaomi Mi A2. The update package’s availability was notified on its own since it is a stable build and is available for almost all Mi A2 users. Having the perk of Android One certification, the Mi A2 was able to receive this update ahead of many other devices. Also, Android 9 Pie update for the Xiaomi Mi A2 comes in an almost 1GB package size, and it will require you to keep your phone charged enough. We updated the Xiaomi Mi A2 first hand, and we have listed down here the most prominent features of the latest Android version. 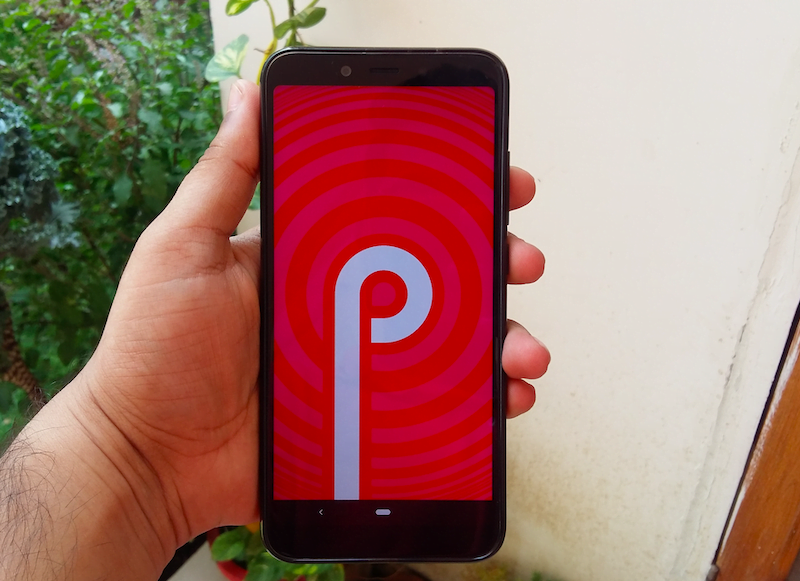 Xiaomi Mi A2 Android 9 Pie Update: What’s New? The first thing that we get to notice on the Android 9 Pie on Mi A2 is the revamped UI. The thing that catches attention is the Google search bar that has been shifted down making it easier to reach with a single hand. Further, on the swipe up applications menu we get to see contact shortcuts and other predicted actions which display the recently dialled contacts or other apps for quickly reaching out to them. This feature comes as part of Pie’s latest ‘App Actions’ functionality. Another thing of importance in the entire interface is the usage of Material Design elements in the Android 9 Pie. By bringing this update, Google has enforced the Material Design much more heavily. We get to see more rounded edges, minimalistic shapes and different colours. The swipe down notification panel has also been given a different look which comes as a nice change. Next up, while opening the recent applications menu, we are hit by a brand new redesigned horizontal setup which is much similar to the recent apps menu seen on the Apple’s iOS. Instead of the previous recent apps menu where users had to scroll up and down to see the recently used apps, now users will need to swipe left and right. Although it might take some time to get used to this new orientation, the horizontal orientation allows the users to see the full-screen preview of that particular application which was previously not possible. Another small thing which we noticed is that Google has added a new ripple feedback effect for tapping on buttons. This new ripple effect also adds to the smooth experience of the UI and feels intuitive. 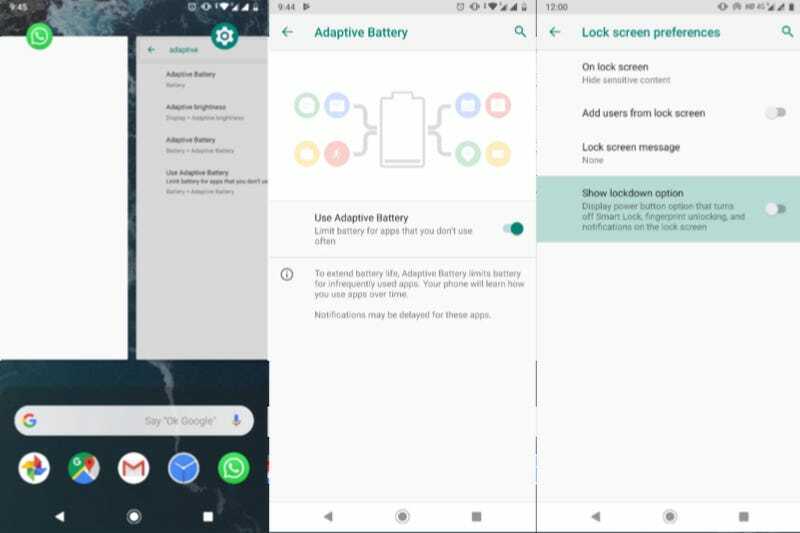 More hyped features of the Android 9 Pie which were most awaited were the new adaptive brightness and adaptive battery. After the update, we had a brief stint of using the Mi A2 with both the features turned on. 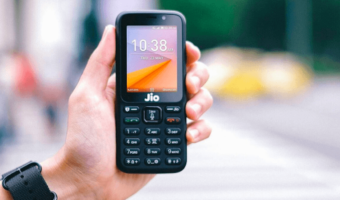 Although the adaptive brightness brings little improvement to its previous form, the adaptive battery feature is something that the users might take an interest in. When turned on, the feature did seem to extend the battery life by a short span. 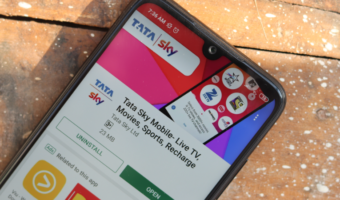 However, considering a backend update which promised many improvements and bug fixes, it is a noticeable feature which manages your battery by better handling apps as the effect was visible on the day to day working of the phone. Another security feature which has been added to the Android 9 Pie is the lockdown option. 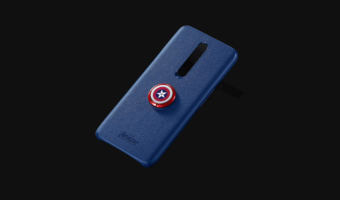 After enabling the lockdown option to show up on the power button menu, once enabled the feature will lock your phone, disable fingerprint unlock smart unlock and hides notifications. More features of the Android 9 Pie include a brand new accessibility menu. There is also a new screenshot shortcut on the power button menu. The volume control option on the latest Android version has also been changed and is now placed on the right side and allows for better control of volume and notifications. In the settings, the new Android Pie also offers a new Dark Theme. On a single look, the new Android 9 Pie seems to bring all the needed updates, features and improvements to the Mi A2. However, like any other first iteration of an Android version, we have seen that some things can be improved on the Xiaomi Mi A2. Post the Android Pie update; we spotted that the sound output on the phone seems to have taken a slight hit. Also, the adaptive brightness in some cases seems to be too sensitive and responds to even the slightest movements in front of the sensor which can grow a little annoying at times. However, turning off the adaptive brightness is always an option for the users. 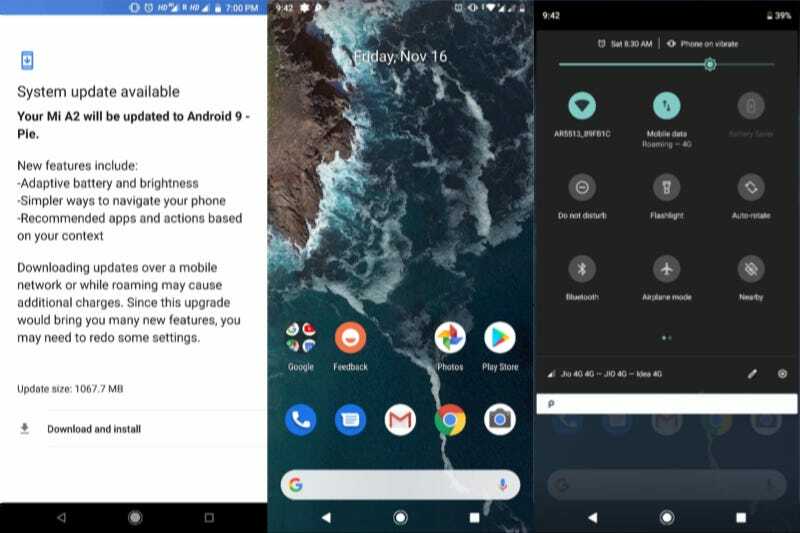 Although the notification for Android 9 Pie update should pop up on its own, there are still chances that you might not be getting the notification because you haven’t yet updated your phone to the November Security patch. Head over to Settings, on the search bar, search for System Updates and tap on the “System Updates” menu. After navigating here, tap on the “Search for updates” options. In case you are missing any latest update, the update manager should inform you and ask you whether you want to download the update. We recommend that you connect your phone to a stable Wi-Fi and keep at least 80% charge on your phone before proceeding with the update. How is camera quality after new update? Battery life? What about screen on time?